How does Acupuncture work? This is a question that is often not answered very well. In this article I will briefly discuss the Modern Western Science and Traditional Eastern Philosophy behind the practice of Acupuncture. The use of Acupuncture dates back more than 2000 years and has historically been used to treat a wide range of conditions. With its resurgence in popularity in the western world there is a greater desire to understand more about this ancient medical practice. Acupuncture has been shown to have an effect on every physiological system in the body. The musculo-skeletal, circulatory, immune, digestive, hormonal and nervous system are all affected by Acupuncture to varying extents. A surprising amount of research has been conducted on the subject since the 1970’s (Cheng 2008). And whilst it is clear Acupuncture has direct physiological effects, more research is needed to establish the exact mechanisms behind these effects. The proper flow of Blood and Lymph throughout the body is the essential mechanism behind the healing of all injuries and illnesses. The Acupuncture needle is inserted in an attempt to gently release and breakdown areas of tight or tense connective tissue and fascia. As the soft tissues relax, the blood vessels become dilated and blood flow is increased. With an increase in circulation comes an increase in healing response. Put simply, blood and body fluids can’t flow effectively through tight muscles or joints! When an Acupuncture needle is inserted, this creates microscopic traumas in the soft tissue that require the body to heal. One theory suggests that as the body heals the microscopic tears created by the Acupuncture needle, it may also stimulate the repair of any other surrounding damage left over from old injuries at that site. This is the exact same mechanism of soft tissue repair which occurs in muscle hypertrophy (building of muscle) after intensive exercise (Schoenfeld 2010). Another major effect of releasing the connective tissue is the release of pressure on trapped or impinged nerves. Again, like blood and body fluids, nerves can’t function efficiently when restricted by a tight muscle or joint. The release of pressure around nerves by Acupuncture can improve function of the nerve. These functions could be control of basic physical movements or more fundamental aspects of physiology such as digestion. Chen Shao Zong maintains that; ‘For 95% of all (Acupuncture) points in the range of 1.0 cm around a point, there exist nerve trunks or rather large nerve branches.’ It is important to emphasize that Acupuncture does not aim to needle nerves directly! This is both painful and damaging to the body. It aims to release the connective tissue around the nerve pathway in order to improve its function. The vast majority of Acupuncture patients report feeling extremely relaxed during and after treatments. Acupuncture is being increasingly favoured as a mode of treatment for stress and psycho-emotional issues (MacPherson 2006). A national survey in the UK (Hopton et al 2012) has revealed that psychological and emotional issues are the third most common reason that patients generally chose to see an Acupuncturist after musculoskeletal and neurological conditions. Research has shown that by affecting and regulating the hypothalamic-pituitary-adrenal gland axis, Acupuncture can reduce stress-related behaviour (Zhang et al 2012). There is also evidence (Qian 2013) to support the fact that Acupuncture has a direct regulating effect on the Autonomic Nervous System and can increase ‘parasympathetic’ or ‘rest response’ action. The Parasympathetic is the aspect of the nervous system which controls our body’s ability to rest, digest and repair itself. Most of us find ourselves easily stuck in the ‘Sympathetic’ or ‘Fight or Flight’ nervous state. In this state of stress the body is prepared for survival and its resources are drawn away from processes such as healing, tissue repair and digestion. For our body to heal from any illness or injury the ‘Parasympathetic Nervous System’ must be active. The evidence to support the notion that Acupuncture can affect this process and increase Parasympathetic action is potentially crucial to our understanding of how Acupuncture works. It may also explain its diversity of therapeutic effects for a wide range of different conditions. We often forget in our modern drug-based medicine culture that the body has an incredibly effective self-healing ability. Of primary importance for this natural healing ability are; good circulation of Blood and Lymph, Nervous System balance, healthy Digestion and Drainage. Acupuncture is perhaps most commonly used in the treatment of pain and there has been a great deal of research on the analgesic/pain relieving effects of Acupuncture (Cheng 2008). It has been shown that by stimulation of the peripheral nerves, Acupuncture can increase levels of serotonin and noradrenaline in the body. This leads to reduced pain transmission and can help speed up nerve repair (Wang 2005). Acupuncture has also been shown to trigger the release of beta endorphins in the body which have a pain numbing/analgesic effect (Pomeranz 1987, Han 2004). This research has seen Acupuncture become widely adopted as a safe and effective therapy in chronic pain management. Acupuncture has been proven effective in the treatment of Nausea and Vomiting (Ezzo 2006, Lee 2009 and Yin 2005). It is therefore postulated that it has an effect on regulating the motility of the digestive tract (Yin 2005). There is some good quality research showing therapeutic effects of Acupuncture on IBS and various digestive disorders however currently there has not been enough research conducted for the effects to be found conclusive. Acupuncture research is still in its early stages and more good quality studies are needed to understand more about how it works and what it can treat. However it is clear at this stage that it has numerous direct and positive effects on the body’s physiology. It is has been confirmed a safe and effective treatment for conditions such as Chronic Lower Back Pain, Headaches and Rhinitis amongst others according to the World Health Organisation. The research for other conditions is still very much in its early stages. Although currently inconclusive, many positive therapeutic benefits have been reported in many cases in a diverse range of conditions from gynaecological issues and fertility to fibromyalgia and insomnia. Acupuncture has been demonstrated to be a very safe therapy and serious adverse reactions are extremely rare (Witt et al., 2009; Melchart et al., 2004; White, 2004). For the most current up to date resources on Acupuncture research please see the British Acupuncture Council Fact Sheet and the Evidence Based Acupuncture Research Page. Traditional Chinese doctors did not possess the modern biological understanding that we have today, however they formulated remarkably refined and logical theories of how the body worked which are not dissimilar from many of the physiological principles discussed above. We know today that the ample circulation of Blood and Lymph are the central to maintaining a healthy body. And we know that the Blood and Lymph are supplied by nutrients extracted from our food and from Oxygen extracted from the air. In Traditional Chinese Medicine the same emphasis was placed on improving the flow of Blood, Body Fluids (Lymph) and Qi in the body. They recognised that if these fluids were not moving healthily, sickness would occur. They knew that the Blood was nourished by our food. They also knew that a more refined substance, which they call Qi, was extracted from the air by the Lungs. In Traditional Chinese Medicine theory, Qi is regarded as the most fundamental primal life force in the body, its regular supply and free movement is believed to be central to maintaining good health. The character for Qi in Chinese is composed by two different images, a rice field (symbolising food) and the air, denoting the two key places where we extract our Qi. The best comparison we have in Western Science for this phenomenon is Oxygen. It is the most vital force we have without which we will quickly die. It is extracted by the Lungs and is transported by the Blood. It fits many of the ethereal qualities ascribed to it by Traditional Chinese Medicine. 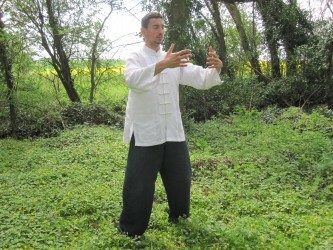 However Qi also possess other qualities that may take its meaning beyond the reach of one single chemical. Many Acupuncture and Traditional Chinese Medicine Practitioners believe Qi to be a more fundamental force beyond the constraints of ordinary physical matter. Whilst advances in modern Science have given us a greater detailed understanding of the material Universe the vast majority of our Space is as of yet unaccounted for by Physics. Interestingly enough Einstein was convinced that the existence of Ether (a Western term for vital energy which shares many similar characteristics of Qi) was necessary in order to understand the known Universe; ‘According to the general theory of relativity, space without ether is unthinkable; for in such a space there not only would be no propagation of light, but also no possibility of existence for standards of space’ (Einstein 1928). The use of Acupuncture and herbs are used to treat the various organs of the body if they become deficient or diseased. Herbs are used to treat their internal mechanisms. Acupuncture and Massage are applied externally. Local needles in the abdomen and back are used to break down tight or restricted connective tissue around the areas of the organs. This aims to improve the circulation around the area so the organ has an improved supply of Qi, Blood and other vital substances. Tight and restricted connective tissue around an organ can also compress the organ and restrict its functioning capacity. In some cases pressure from physical structures such as the ribs, spine or tight muscle groups can cause organs to become inflamed. In the compartmentalised understanding of western science we often forget the relationship between the musculo-skeletal structure, our posture, and the organs we house within it. Quite simply, the organs need space, support and good circulation to function well and repair themselves. Often people ask; ‘How can a point in my foot affect my organs or my back?’ There are many possible explanations for this. As explained above organs are sensitive and can become easily affected in cases of incorrect posture. Often postural imbalances start in different areas to the site of the main complaint such as the ankles, hips or tailbone. By addressing the original postural misalignment it is possible to have a chain reaction effect in many other areas of the body. Beyond the major muscle groups, bands of connective tissue and fascia run throughout our body connecting, penetrating and wrapping around muscles, ligaments, organs, nerves and bones. The holistic notion that our body is a connected whole is very much a physical one. Modern anatomist’s are beginning to recognise the importance of this interconnectedness and are moving away from the Newtonian idea that the body is a total collection of separate parts. 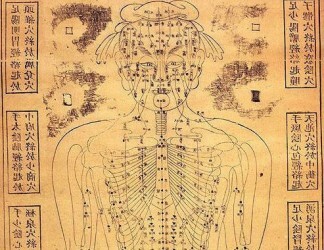 As well as the physical bands of connective tissue; in Traditional Chinese Medicine it is also believed the pathways of Qi called meridians (Jing Luo) run throughout the body. Interestingly, modern anatomy is now confirming that the locations of certain key connective tissue bands are located in very similar locations to the traditional Chinese meridians (Myers 2001). Acupuncture uses the detailed mapping of these physical and energetic pathways to have various effects on the body. For example, the pathway of the Stomach channel passes down the abdomen, the front of the leg and ends at the 3rd toe. Points along the leg aspect of this channel are often used to treat the Stomach from a distance. The release of connective tissue in this area, and therefore increase in circulation, aims to have a direct effect on releasing pressure, pain and inflammation further up the channel in the area of the Stomach. For Back Pain and Sciatica often distal Acupuncture Points are used around the back of the legs and feet. The needles are inserted in areas of connective tissue which travel up to and around the sacrum and spine. The aim is to release connective tissue at a certain point to have an effect on a whole band of tissue which may be causing problems or compressing nerves further up the back. Traditionally a great Emphasis was placed on living in harmony with the natural environment; this way it was believed that sickness could be prevented. It was encouraged to exercise, eat and live in rhythm with the changing of the seasons. Summer was a time to eat more raw foods and fruits and in the cold seasons warm cooked foods were considered more appropriate. Respect was given to the climate and temperature changes and it is believed our activities should match these movements. Acupuncture and Herbal Medicine were given when people failed to adapt to these climatic changes and therefore became sick. They were also administered for healthcare to ensure and maintain the good health of the population. For more information on living in accordance to seasonal changes please see my article ‘Living with the Rhythms of the Seasons’. Acupuncture has the potential to affect the body in many different ways and directly affects every physiological system in our body. There are many logical theories for explaining how this works, both Western and Eastern. More research is needed to confirm the exact mechanisms behind Acupuncture and further studies can only help our understanding. The popularity of Acupuncture is continuing to grow worldwide as people increasingly look for more natural and holistic ways to improve their health. 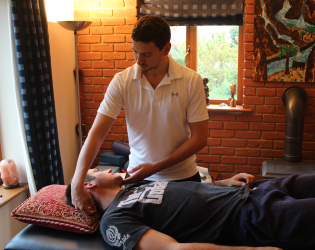 For more information about Nick, Acupuncture and our other Therapies please click the links provided or scroll over our menu bar at the top of the page. To find out if Acupuncture can help you, please feel free to contact us. Ezzo J et al. ‘Cochrane systematic reviews examine P6 acupuncture-point stimulation for nausea and vomiting’. Journal of Alternative and Complementary Medicine (2006); 12: pp 489-95.